Have you noticed your home energy bill or commercial business utility bill has been on the rise? You’re not alone. The heat wave this summer has burnt a hole in the pockets of homeowners and business owners alike. How can you keep your home or business cooler? How can you reduce heat gain? You can get some relief by having residential awnings or commercial awnings installed for your property. Air conditioning use a great deal of energy and that energy usage comes with a hefty expense. Installing awnings can reduce your energy cost and waste by preventing the heat from getting in the home from the start. Awnings are designed to reduce solar heat gain for all types of building structures. Sunshine can increase heat gain of homes and business 65% to 77 on average. Sometimes awnings can reduce heat gain to a point where air conditioning won’t be necessary. It all depends on the average temperatures experienced in your geographic. 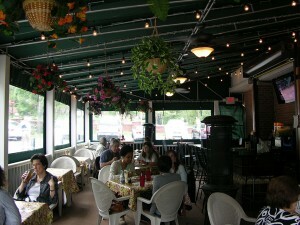 Awnings are categorized as green living applications. – And even as motor home awnings or food truck awnings. Awnings will not only provide you shade but awnings will also protect you from inclement weather such as severe thunderstorms. As long as awnings are properly maintenance and cleaned, the awnings will last for years to come. Choose acrylic or vinyl awning fabrics to best complement your building design needs. Acrylic awning fabric is perfect for locations that experience plenty of moisture from rain because acrylic offers good air circulation and dries quickly when it comes in contact with moisture. Acrylic fabric is very water repellent. If you want a vinyl fabric awning, you will have an awning that’s mildew resistant. Retractable awnings are highly recommended for both residential and commercial properties. Use your awnings when necessary. Awnings can be cleaned with a simple rinse of a hose. If a stain is stubborn do a gentle scrub. Avoid oil based awning cleaning products. To find the perfect awning for your property, schedule an appointment with Carroll Awning Company. Let Carroll Awning Company help you design a cost-effective solution for your home or business today.